It is hard to believe, but Fall is nearly upon us. The kiddos are back at school and the evenings are already starting to get shorter. And even though there are still technically 3 weeks until the start of Autumn, I am ready to start whipping up some Fall-themed recipes. Sadly I can’t hit the soups yet, as it is currently 108 degrees F here in Los Angeles. 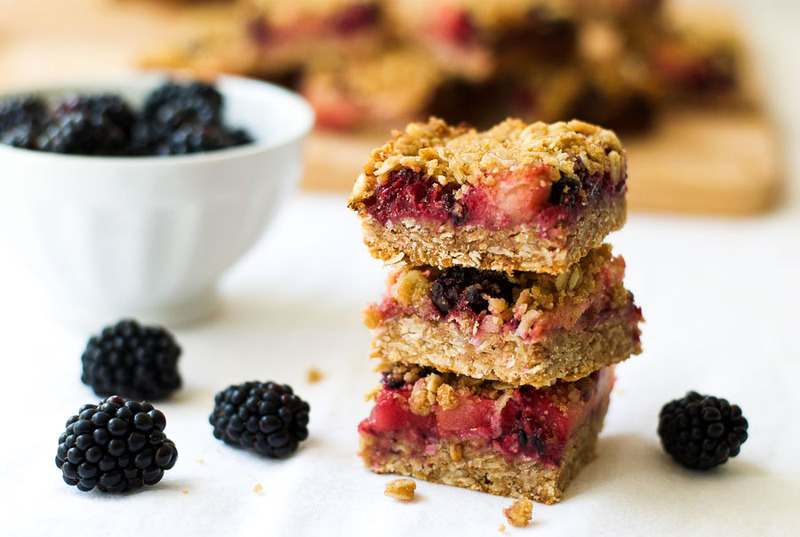 But I can start making delicious baked goods, like these blackberry apple crumble bars. 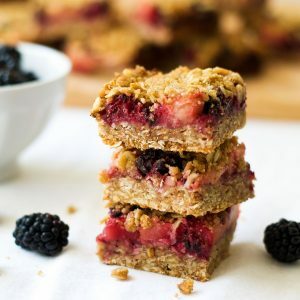 I adapted this amazing recipe from Smitten Kitchen for strawberry rhubarb crisp bars. I changed the flour to whole wheat to add some fiber, upped the vitamin and mineral content by adding coconut, and switched out the fruit for my favorite Fall combo. 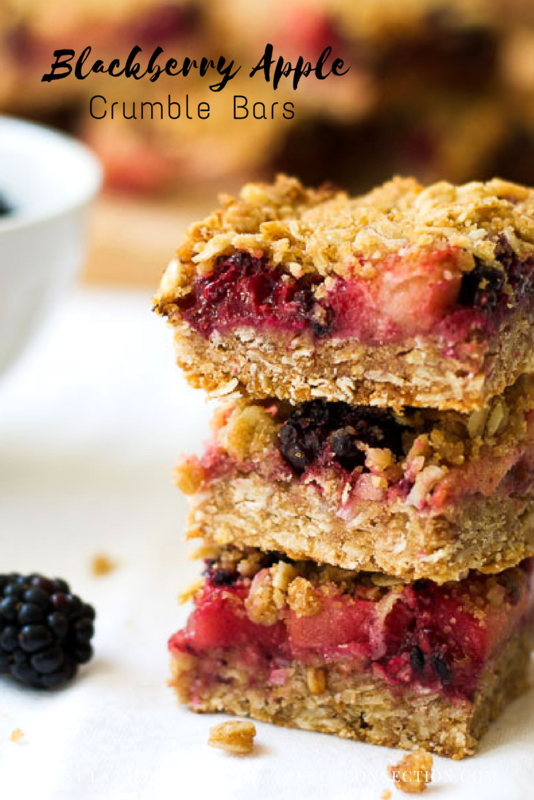 The result was these easy-to-make, delicious, blackberry apple crumble bars. What are some of your favorite Fall baking recipes? I’d love to hear in the comments below. Heat oven to 375 F (180 C) and grease an 8-by-8-inch square baking pan. Place oats, flour, coconut, brown sugar, and salt in a bowl and mix. Add the melted butter and stir until it forms lumps. Add a touch more flour if the mixture looks too wet. Put ½ cup of the crumble mixture to one side. Put the rest of the crumb mixture into the prepared pan and press it down evenly. 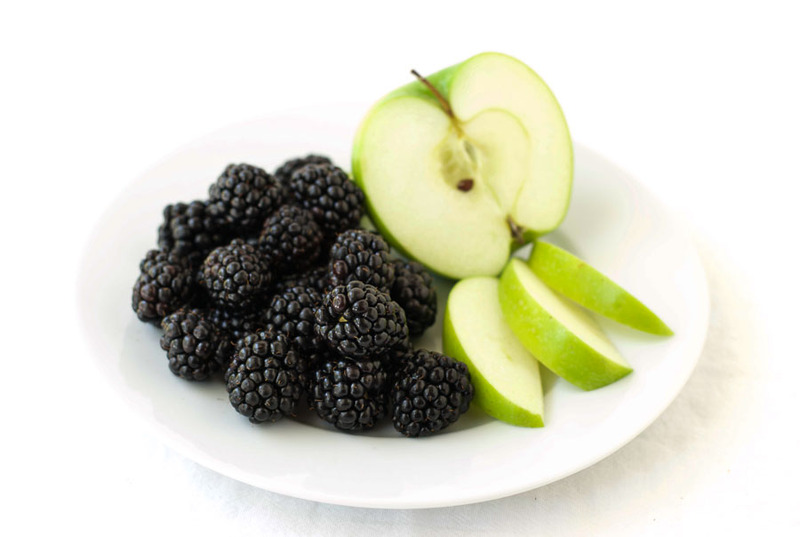 In a separate bowl add the blackberries, apples, granulated sugar, lemon juice, cinnamon, and cornstarch, and mix well. 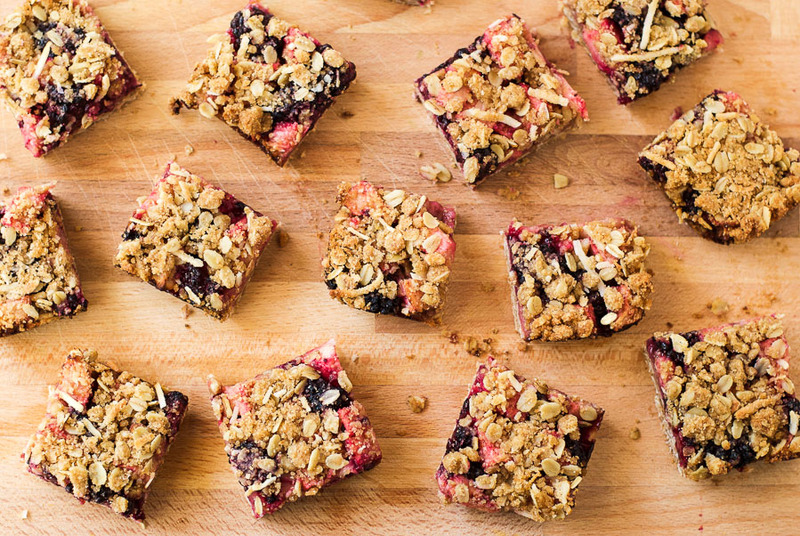 Spread the fruit mixture over the crumb in the pan. Sprinkle the reserved crumble mixture over the fruit and bake for 30-40 minutes. Leave in the pan to cool. You can do this in the fridge. Cut into squares and enjoy. Store in the fridge.